The delicate nebula NGC 1788 is located in a dark and often neglected corner of the constellation Orion. 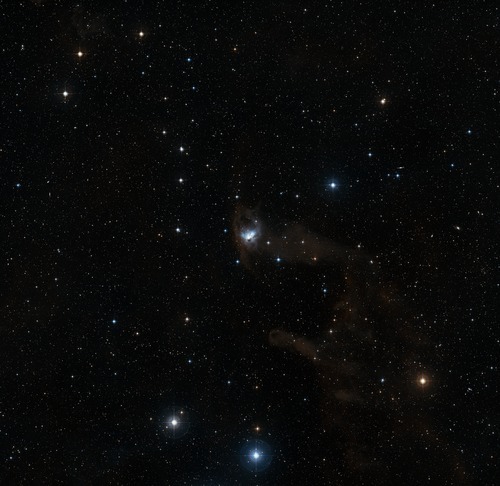 Although this ghostly cloud is rather isolated from Orions bright stars, their powerful winds and light have a strong impact on the nebula, forging its shape and making it a home to a multitude of infant suns. This image from the Digitized Sky Survey 2 covers a field of view of 3 x 2.9 degrees, and shows that the Bat Nebula is part of much larger nebulosity. Approximate maximum distance in light years from NOAO.